This tractor trailer hit a railroad bridge on State Route 521 this morning. The route is now open to traffic. State Route 521 between Harris Road and U.S. 36/State Route 37 is now open to traffic. 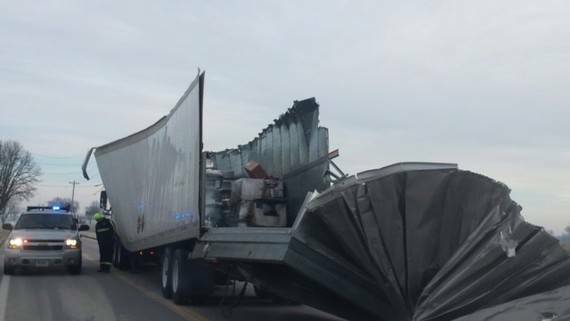 The roadway was closed just after 10 a.m. today due to a tractor trailer crash, according to Ohio Department of Transportation District 6 officials. The vehicle struck the railroad bridge on SR521. The top of the trailer was torn off.